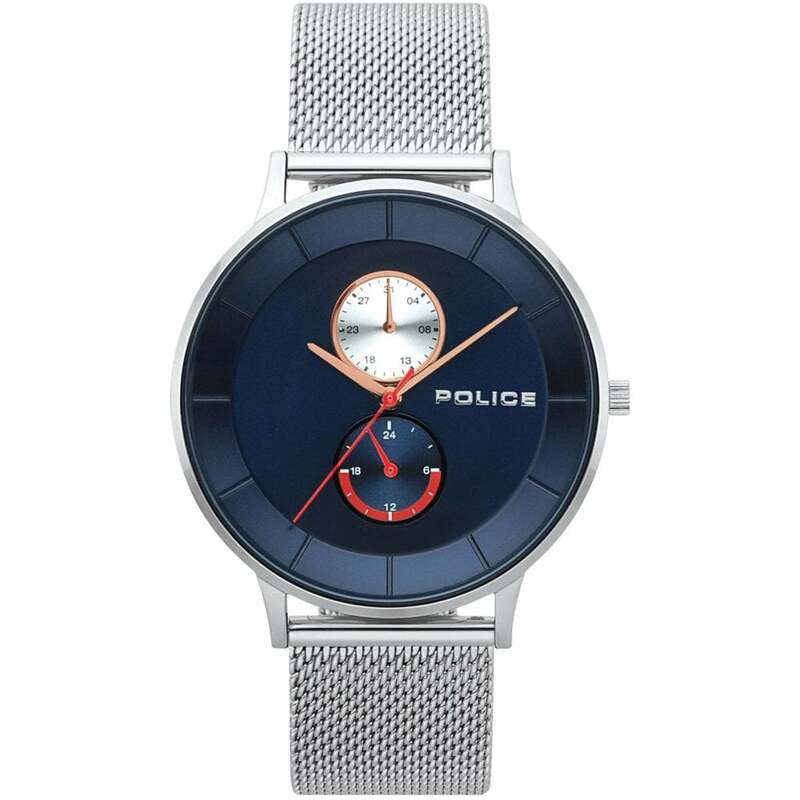 Police Watches were launched in 2003, and like the clothing, the Police Watch collection shows contemporary and innovative design. Police have yet again declared their fashion street vocation throughout their vast range of Police Watches. The authentic glamorous nature of all Police Watches demonstrates its mission. With designs based on the diffusion of a cosmopolitan lifestyle for trendy and off beat individuals, Police Watches certainly are suited to people who want to keep their own time with the Police Time collection. Being 'Authourised Retailers' means we Tic Watches purchase the watches direct from the brand or the official distributors. This means all our watches are 100% authentic and come with their official paperwork, packaging and manufacturer's warranty. For prece of mind make sure you buy your watches from Tic Watches. Finance is only available on purchases where the loan amount exceeds £250.00 once the deposit has been paid. To work out your monthly re-payments, please visit our Finance Calculator for various re-payment plan options. All orders placed Monday – Friday before 2pm will be processed and dispatched the same working day. We use both DPD and Royal Mail for the UK deliveries dependent on your location. We offer FREE UK delivery, Next Day delivery and Saturday Guaranteed delivery, which are all available at checkout. Shipping within the EU is £10.00. All watches will be shipped within 24 hours of the order been placed but can take up to 3 - 7 working days to arrive depending on your country and local customs. All European orders are dispatched via DHL Express or DPD service dependent on your location. Please note even though 90% of deliveries take 3 - 7 working days delivery, sometimes it may take longer depending on customs so please note it may take slightly longer for delivery (up to 20 working days). © 2019 TIC Watches. All Rights Reserved.